Bremerial's success is due in no small part to the advice obtained from a variety of sources. The purpose of this section is primarily to list the sources of advice. Perhaps these sources may be useful to you. However, some interesting limericks have also been included. Incongruous I know! 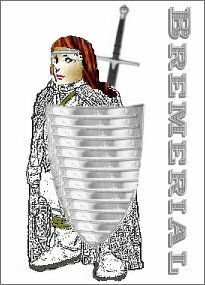 If you are aware of any useful resources relevant - directly or indirectly - to warriors then please send the information to bremerial@googlemail.com for consideration. These are incredibly basic scripts created for stormfront. Don't expect anything complicated. However, they got my through some tough times and out of some tricky situations.